The society was founded on October 10, 1952. ※The opening ceremony was held at Hotel New Grand. Yokohama has been developing as a gate for modernization of Japan since it opened its port in 1859. In the year before opening the port, the United States concluded an amicable trade treaty with Japan. Since then, Japan and the United States had strong relationships and cooperation to secure the peace and prosperity in the Asia-Pacific region as important partners who share values despite difficulties during some unfortunate times. The Japan-America Society of Yokohama was founded in 1952 to promote some activities for the mutual understanding between Japanese and American citizens and foster their friendship. JASY has had many kinds of activities in our history. JASY has regular projects such as the U.S. Independence Day Party, New Year's party, Exchange Program with U.S. Department of State FSI Center and some lectures. And also JASY has some anniversary events in milestone years. JASY is trying to make projects more fulfilling and activate the society by launching the Youth Club for the young generation. As one of these projects, JASY decided to launch an official website in order to promote the society and its fascinating projects. JASY continues to work on promoting mutual understanding and exchange between Japan and America in Yokohama through grass-roots activities. We look forward to your kind support and cooperation, and we are also looking forward to seeing you as a member. 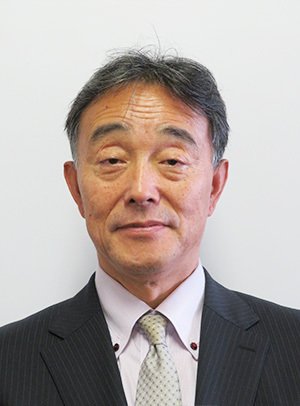 The Eighth President Yoshihiro Nishida Former Vice President, YCCI / Former President, Y.Nishida&Co.,LTD. The Ninth President Takashi Uyeno Chairman, YCCI / Chairman and President, Uyeno Transtech Ltd.
President Takashi UYENO Chairman, YCCI / Chairman and President, Uyeno Transtech Ltd.
Vice President Atsushi MOCHIZUKI Representative Director and Chairman, Hamagin Finance Co.,Ltd. Director Keiko AKIYAMA Chairman, Sanyo Print Co., Ltd.
Director Nobuhiro OKADA President, Yokohama Okadaya Co., Ltd.
Director Takeshi KITAGAWA President, Kitagawa Shoji Co., Ltd.
Director Hiroyuki SAITO President, Tokyo Kisen Co.,Ltd. Director Masanori WATANABE President, Memoire Inc.
We have annual social events celebrating traditional cultural holidays, U.S. Independence Day and New Year. We also offer seminars inviting well-known guest speakers and exchange programs with the U.S. Department of State Japanese Language Training Center.